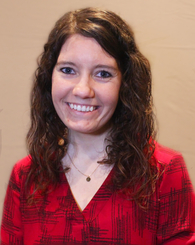 The DuPage Foundation is pleased to welcome Melissa Fischer as its new marketing manager effective Monday, May 7. In her new role, Fischer will be responsible for creating and disseminating the Foundation’s messaging to its various constituents and helping foster greater awareness for its mission and services throughout the community. She will report to Foundation Vice President for Advancement Mike Sitrick. "We’re delighted to have Melissa join our team,” said Sitrick. “Her background and skills are an ideal fit for us, and we believe that she will do much to help us continue the terrific momentum we've built these past five years through our rebranding and efforts to increase our visibility." 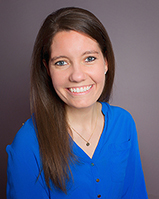 Fischer comes to the Foundation after working for eight years in multiple marketing roles at the Downers Grove Public Library where she concentrated on strategic marketing, publicity, and community relations. In her role there, she was responsible for crafting and disseminating Library messaging through its various media channels to 48,000 Downers Grove residents, leading its community outreach efforts, and organizing a variety of special events around town. As an integral member of the Library’s management team, she participated in two highly successful strategic planning cycles that resulted in the implementation of several new programs, services, and initiatives for the Library. She also worked closely with a number of local not-for-profit organizations and government entities on coordinated partnerships and was the president of the Outreach, Promotions and Programming section of the Library Administrators Conference of Northern Illinois (LACONI). Fischer holds a Bachelor of Arts from Saint Xavier University where she concentrated on communications and writing. She resides in Lemont with her husband, Rob, and enjoys reading, vacationing, and doing Random Acts of Kindness.